Marcella Hazan’s bestselling cookbooks The Classic Italian Cookbook and More Italian Cooking are the standards in the field, and now, almost 20 years later Essentials of Italian Cooking combines them in a single volume. 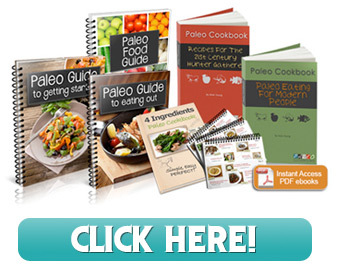 Only better, with 50 new recipes, revised cooking instructions, new entries, and new menus. As Hazan puts it, the book “is meant to be used as a kitchen handbook… for cooks of every level… who want an accessible and comprehensive guide to the products, the techniques, and the dishes that constitute imperishable Italian cooking.” The book serves not only as a collection of delicious recipes for cooks of all level as she claims, but as a basic manual for new cooks. Her recipe for Tomato Sauce with Onion and Butter is a perfect example of Marcella’s unmistakably simple, straightforward cooking. And she was right in her recipe introduction—this sauce is so irresistibly sweet that we did indeed skip the pasta and grab a spoon to eat it directly out of the pot! The same could be said of many of the fine dishes in this collection—and there are almost 500 recipes here. That’s a lot of good food to enjoy. 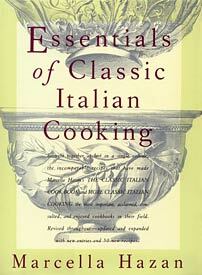 Essentials of Classic Italian Cooking is the perfect gift for new cooks, seasoned chefs, and all lovers of good food.